A stock trader in Bangkok. An options house in Moscow. An attorney in San Francisco. Financial and business professionals in Mexico City, Copenhagen, Singapore and Sao Paulo, and over 150 other countries. 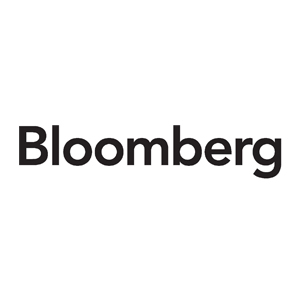 Bloomberg is their source of financial information that drives decisions that move billions of dollars every day. Behind the products are the people of Bloomberg, each giving outstanding customer service to our clients, each empowered to innovate in order to keep the markets as transparent as possible. Inspired by the principles of founder Michael R. Bloomberg, Bloomberg’s philanthropy program lies at the core of the company’s culture, supporting charities and non-profit organizations in more than 140 offices around the world. Through community service and charitable giving, Bloomberg philanthropy strives to make an effective impact on the surrounding neighborhood through a wide range of programs in the areas of health, sustainability, literacy, social welfare and the arts. The common theme and shared purpose are a commitment to improving the planet, the community and the lives of those in the places where we work and live, while engaging our employees in the process and reflecting their charitable interests in our efforts. Sustainability is not a buzzword around the Bloomberg offices; it’s an integral part of who we are as a company. Our sustainability program began from within, with an employee’s idea during a team-building session. It has grown exponentially, with initiatives that span all our offices and engage our entire workforce. We’re on track to reduce our carbon footprint 50% by 2013 (from our 2007 baseline) through implementing energy efficiency, increasing renewable resource use and comprehensive waste reduction. We’re also taking what we do best – superior news, data and analytics – and harnessing it to help move society toward a low carbon economy.